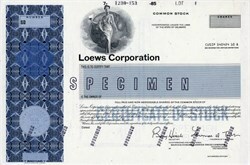 Beautiful specimen certificate from the Loews Corporation. 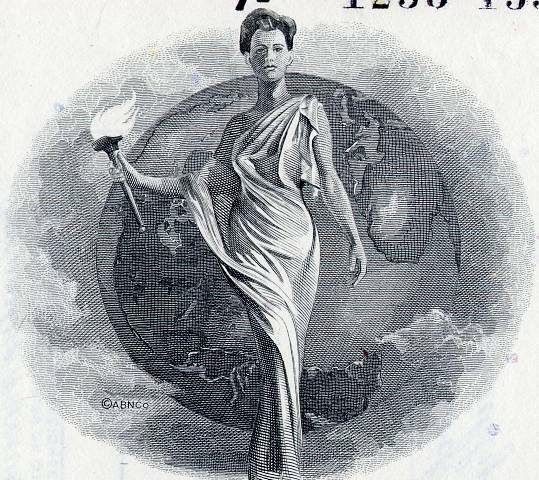 This historic document was printed by the American Bank Note Company and has an ornate border around it with a vignette of an allegorical figure. Lawrence Tisch as Chairman.